Rescue teams in Thailand began the first stage of an operation to save a youth soccer team from a flooded underground cave, with four of the twelve boys successfully rescued. According to BBC News, the team began the operation ahead of schedule thanks to a pause in the frequent rains that come with the country’s monsoon season. The operation was put on hold until Monday morning after oxygen levels in the cave dropped. Oxygen tanks along the nearly 2-mile stretch will be replaced. 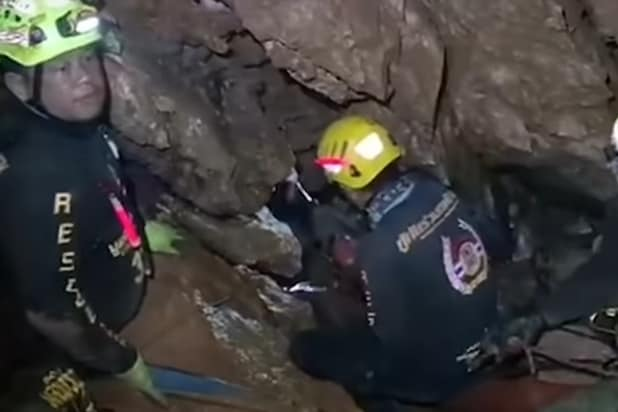 The rescue operation involves guiding the boys through a partially flooded cave system that has already taken the life of one diver who attempted to reach the trapped soccer team. Some sections of the cave require climbing equipment, and one section that has been flooded by stormwater is so narrow that divers must remove their oxygen tanks to get through. The trapped soccer team, which consists of boys aged 11-16, was found on Monday by a team of divers after a nine-day search. It was originally believed that the team would have to stay in the caves until the end of monsoon season, which would last for several more months. But after the rains flooding the cave worsened, a team of 90 rescue divers — 40 Thai, 50 foreign — was sent in to extract them as soon as possible.